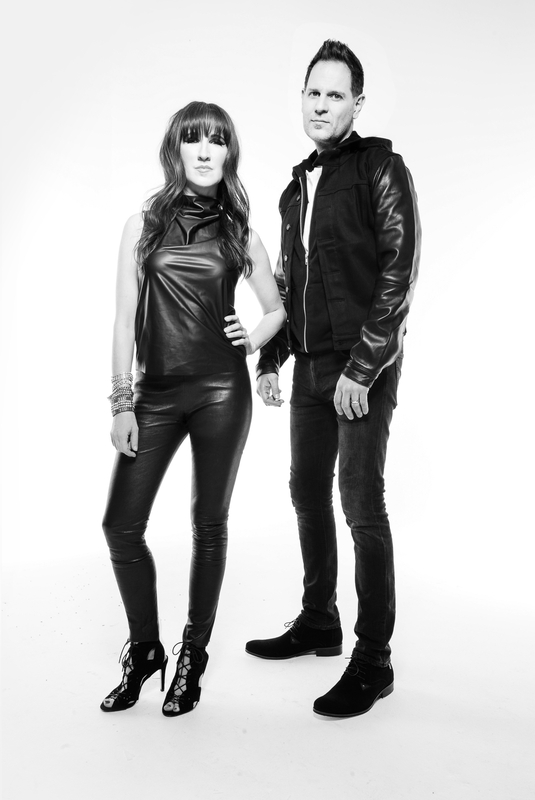 Worldwide Groove Corporation, Nashville's electronic music power duo, recently made a very bold move. Declaring it "The Year of the Groove", Kurt Goebel and Ellen Tift committed to putting out one new music release a month for at least a year. Starting the clock in July 2014, WGC began the festivities by releasing two singles at once. While their downtempo chillout remake of "Summertime" by Gershwin sets an elegant and vibey tone with it's hypnotic groove and smooth ambiance, their original "Come to Me" explores more complex territory with its emotional strings and brooding lyrics. In September, WGC's dystopian dubstep track "The Legend of the Fall" caught the attention of food activists, which led to a cooperative effort between WGC and the Right to Know organizations for increasing public awareness about genetically modified foods. Their quirky electropop release "Supermodel Astronaut" sparked the Supermodel Astronaut Challenge in October, beginning a social media movement reaching as far as Europe, and landing them coverage on Huffington Post. From there, WGC continued to release music every month for not only 12, but 14 consecutive months. Ellen and Kurt first became acquainted when they were each getting their Master of Music degree in Media Writing and Production from the University of Miami in Coral Gables, FL. After both graduating, they eventually began collaborating on various composing and music production jobs for clients. Between the work of Kurt and Ellen, their music has been used in independent feature films, on national TV ad campaigns for brands and TV shows such as Samsung and Grey's Anatomy, in TV shows such as One Tree Hill and Inside Fame, and discussed at international arts festivals in Europe. Worldwide Groove Corporation's string arrangements have been featured on records for artists such as Third Day and Plumb, and they are known for their talent of reinvention which is evident in their classic country remixes and their treatment of old jazz standards on their 2007 record "Fever: Chillodesiac Lounge, vol. 1". From this record, their instrumental track "Smoke & Mirrors" went to #1 on the Sirius XM chill station for two months, and several tracks have appeared on compilations around the world. Fifteen DJs in 10 different countries contributed their amazing talents to the WGC remix releases in 2009, giving them a tremendous global connection. With their "Year of the Groove" series of releases, Worldwide Groove Corporation expanded their musical umbrella, ranging from purely fun electro pop to deeper more emotionally complex cinematic chillout. Although the emotional range is broad, the core of their tracks, the rich textures, sultry grooves and catchy beats remain the staple of their sound. Ellen Tift is a complex multi-faceted woman who defies stereotypes, and this comes through quite clearly in her music. 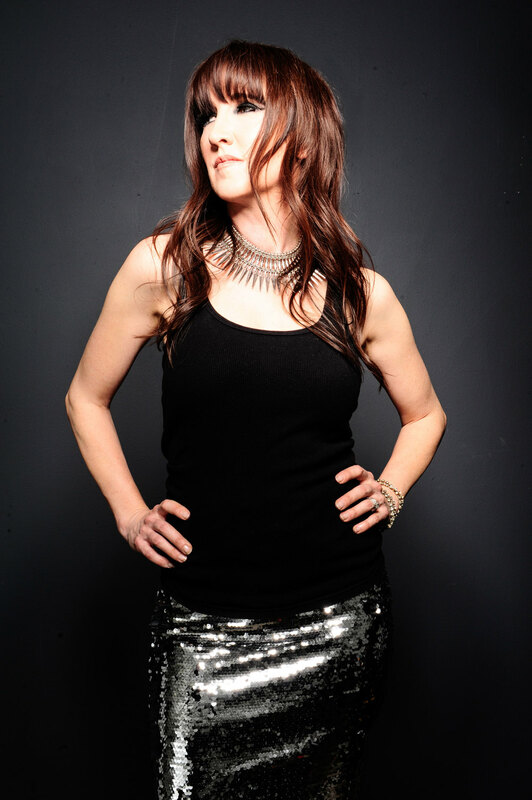 Her quirky humor is the driving force behind WGC's releases like "Fever [More Cowbell Mix]" and "Supermodel Astronaut", and yet she is also responsible for WGC's darker lyrical moments in songs like "Come to Me" and "The Legend of the Fall" Ever the emotional chameleon, Ellen is expanding the envelope of what constitutes a WGC release, and sincerely hopes their audience will come along for the ride. "Life is complex, and we need music that goes along with all of it, from mindless silliness to epic devastation. As an artist and songwriter, I incorporate emotions from all across the spectrum into my music. I find it not only therapeutic, but necessary." Ellen has a Bachelor of Music degree in commercial music with an emphasis in composition and arranging from Belmont University, and a Master of Music degree from the exclusive Media Writing and Production program at the University of Miami in Coral Gables, FL where she focused on the craft of composing, music programming and advanced orchestration and arranging techniques. Since graduating, she has put down roots in Nashville and kept herself busy in the music industry as a songwriter, string arranger, producer and singer, as well as teaching for Belmont University School of music, where she is a member of the commercial composition adjunct faculty. Ellen was nationally recognized for her talents in the 8th Billboard Song contest jazz category, where her original big band song "Anyway" captured 3rd place. She is equally polished at composing string arrangements, as is evident on Third Day's "Christmas Offerings" album [Essential Records]. And Ellen's unique production and arranging approach caught the attention of the organizers of the Belluard Bollwerk International festival in Switzerland where they presented and discussed 3 of her works with festival attendees. Additionally, Ellen made her TV debut in February of 2004 as a professional songwriter for the pilot of CMT’s show “Score”. In 2016, Ellen founded the music group "Legendary Zeroes" and began producing hip hop/rap tracks with tongue in cheek lyrics and big personalities. In 2017 Ellen also founded the “Adorable Freaks”, a sassy chick rock project. When Ellen is not immersed in her work and writing her blog, she can often be found doing improv comedy shows, acting in indie films, writing sketch comedy, gardening, home schooling her child, and educating others about the dangers of eating genetically modified foods. View Ellen's acting reel here. Ellen was born with a cleft palate which got repaired when she was 3. Ellen lived in Nagasaki, Japan for one year when she was in the 1st grade and went to an all Japanese school. Ellen once accidentally stepped on Michael Jackson's foot and her school newspaper wrote an article about it. Kurt Goebel may seem laid back to the casual observer, but truth be told, his quiet intensity could fuel a small nation. In fact, he was dubbed "The Regulator" by his band mates in his days playing keys on the road. And "regulate", he does. Where Ellen pushes the lyrical and emotional boundaries of WGC releases, Kurt reels it all in with the electronic pallet of sounds he dials up at his finger tips. "Regardless of the lyric or emotion of a song, our musical aesthetic is still founded in groove based tracks, heavy on synths, and often featuring elements from around the world. We will always gravitate toward electronic sounds because that is what we both love." Studying piano since he was 6, Kurt started professionally gigging at the age of 14 with a local band in Joliet, IL. He chose to major in piano pedagogy at the University of Illinois, but never planned to teach. His aspiration? "To be a success!" After graduating with his Bachelor of Science degree, he went on to get his Master of Music degree in the prestigious Media Writing and Production program at the University of Miami in Coral Gables, FL. Kurt became a full time composer for a gaming company in Chicago, IL, but eventually relocated to Nashville where he has established himself as a full time composer and programmer/producer. Since 2008, Kurt has been the creative director for iv Audio Branding where he oversees and composes music for many international clients. Between iv and his other connections, his music has been used in ad campaigns for well known brands such as Mercedes, BMW, Samsung, Toyota, Ford, Nestea, Opel, Ehrmann, and Olay. But Kurt's not all about ad music. He also serves as the "track guy" for many pop songwriters and artists with song placements on major network shows and ad campaigns. When Kurt is not slaving away over his hot gear, he likes working on his fitness, relaxing in vibey food establishments, and spending time with his family. Kurt spent his childhood Saturdays on a dirt track as a champion BMX rider, winning a room full of trophies. The only thing in Kurt's childhood bedroom that outnumbered his BMX trophies was his 300+ beer can collection. One time in the 90's Kurt flew out to audition for Hanson, their dad picked him up and dropped him off at the airport. He's still waiting for the call about if he got the gig. Relentless grooves, sultry beats, and smooth vocals set the perfect vibe for socializing or romance. 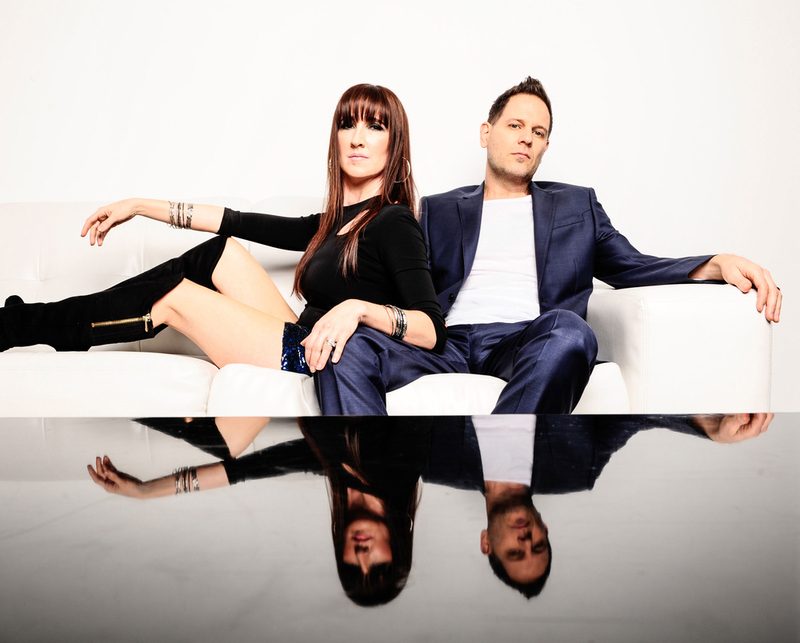 DESCRIPTION OF WGC: Worldwide Groove Corporation are Kurt Goebel and Ellen Tift, Nashville's electronic music power duo. July 2014-June 2015 was their "Year of the Groove", where they put out one new music release a month for a year. Ranging from brooding epic chillout songs like "Human" and "The Legend of the Fall" to fun and quirky electropop like "Supermodel Astronaut" to laid back chill like the "Flow" EP, these monthly releases showed WGC's range as composers and producers. This is particularly evident in their "Make Me Free" MaxiSingle with 5 diverse versions of one song. They are best known for their original instrumental "Smoke & Mirrors," which ranked #1 on the XM Chill station for two months, and also for their downtempo electronic remakes of classic jazz standards on their "Chillodesiac Lounge vol. 1: FEVER" album. Because of this debut record, WGC received FM radio airplay in various major markets including heavy rotation on the syndicated "Chillin' with Chris Botti" show based out of New York City, and dozens of other FM, XM, and internet radio stations. They also were broadcast on the playlists in major retail chains such as Banana Republic. Their songs and remixes have been used on national TV promos for shows like Scandal and Grey's Anatomy on NBC and Forever on ABC . Additionally, they've placed their songs in various independent feature films. Read more about WGC on their BIO page. July 2014 - WGC Announce the "Year of the Groove"
August 2014 - WGC Commence "Year of the Groove"
DECEMBER 2014 - Worldwide Groove Corporation Do The Unexpected for "Year of the Groove"
JANUARY 2015 - Worldwide Groove Corporation Mix Dark Spiritual Lyrics with Sultry Beats in "Glitter & Bliss"
JULY 2015 - Worldwide Groove Corporation Complete Impressive "Year of the Groove"